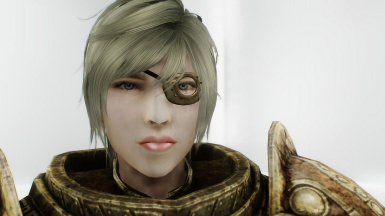 This mod adds a craftable 'Dwemer Scouter' and 'Dwemer Goggles'. Forged with ancient Dwarven technology, these items give the user extra abilities in sight and perception. 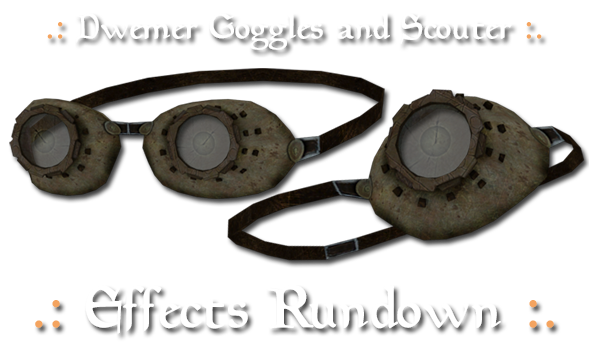 Added new effect for the Goggles - "Goggles Light"
Added new effect for the Goggles - "Dwemer Perception Filter"
Added new effect for the Goggles - "Zoom"
Added new effect for the Scouter - "Threat Assess"
. 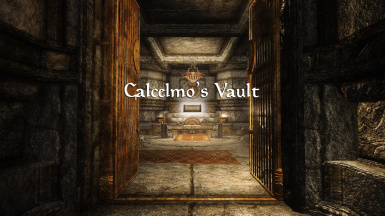 : Requires Skyrim v1.8+ :.
.: Fully Compatible with All DLC :.
.: Calcelmo's Secrets Side Quest Walkthrough :.
.: The Oil System :. 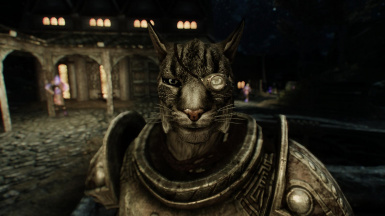 This mod uses SKSE to utilise its OnKeypress functionality. It can be used to toggle on/off the effects on the fly as well as swapping to and from the Goggles(OnHead) version, without using the switcher or going into any menus. By default these keys are C, V, B, N, L, K and Mouse 3. C - Toggles on/off the 'Detect Life' effect. 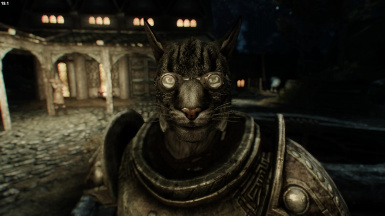 V - Toggles the 'Dwemer Sight' and 'Night Eye' effects, depending on which item you have equipped. 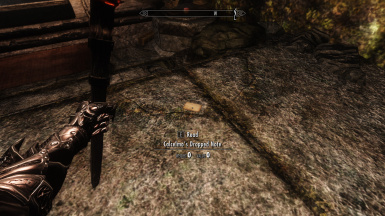 B - Toggles the 'Threat Assess' and 'Dwemer Perception' effects, again depending on which item you have equipped. 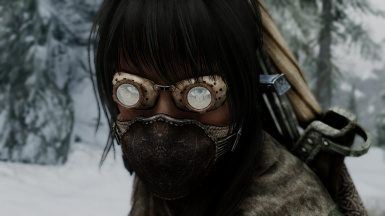 N - Puts the Goggles on your characters head, providing you are wearing the Goggles (pressing the key again will put them back over your characters eyes). 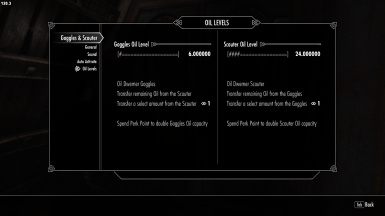 While you have the Goggles on your head, the effects will no longer be active. 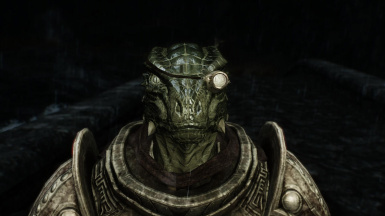 If you do try to use one of the effects while they are on your head, they will automatically be put over your eyes first. 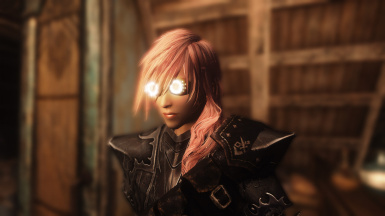 L - Activates the 'Goggles Light' feature added with v2.1. This is a light that is built into the goggles that can be turned on and off at will. No more will you have unequip your bow/crossbow to pull out a torch just, to see something in a dark corner. Just activate the light and away you go. No equipping or unequipping going on here! 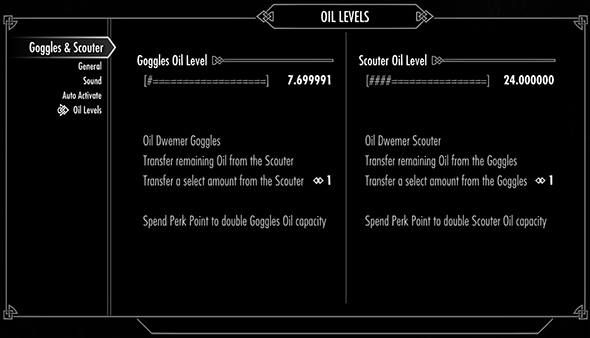 K - Shows you how much Oil your Goggles or Scouter has left. This saves you from having to go all the way into the MCM section just to find out each time. With one single keypress, a message will be shown with the needed information. 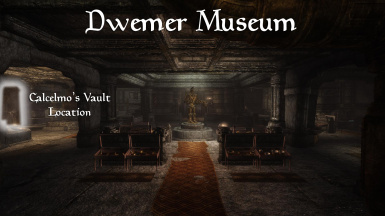 You can craft the 'Dwemer Goggles' and 'Dwemer Scouter' using any Forge under the 'Dwarven' section. 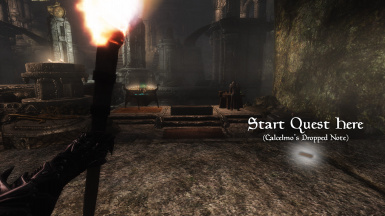 You will also need to have completed the 'Calcelmo's Secrets' SideQuest and have the 'Dwarven Smithing' perk. Or download manually and extract to your Data folder in your Skyrim directory. 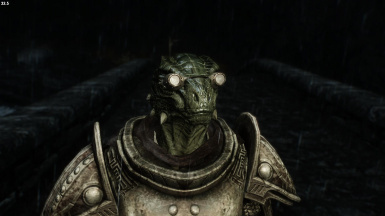 Then make sure the 'Dwemer Goggles & Scouter.esp' file is active in the Data section of your SkyrimLauncher.exe. 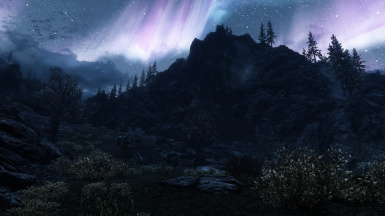 If you're updating from previous versions, I highly recommend you do a clean instal of this mod to make sure all the scripts are loaded correctly and nothing old is left behind. 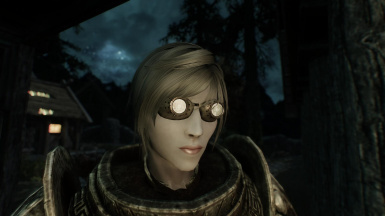 - Added new effect for the Goggles - "Goggles Light"
- Added new effect for the Goggles - "Dwemer Perception Filter"
- Added new effect for the Goggles - "Zoom"
- Added new effect for the Scouter - "Threat Assess"
Many thanks to user brokefoot for helping me test v2.1 before releasing it, as well as teasing the Goggles Light shader effects in the Nexus image share section. Not only that, but I reckon he played a BIG part in this mod reaching its 1,000 Endorsements milestone, in time for my birthday. What a present, Cheers buddy! This guy is such a boss! Special thanks to user KettleWitch for his breakthrough script to make the Field of View update in game. His mod Telescope got me quite excited when I saw it on the recently uploaded files list. 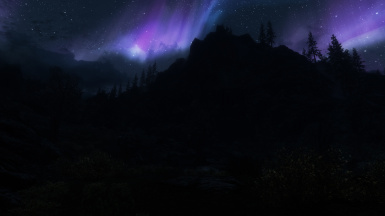 For a long time now I've been wanting such a feature for this mod, but couldn't find a way to update the FOV settings while still being in game. The very first thing I did was download it and went straight to the mods source script files to see how it's done. 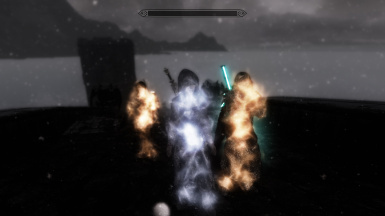 I contacted KettleWitch right away to congratulate him on his efforts (and rightfully so, go download his mod and endorse it). So Thanks again good sir, keep up the awesome work!